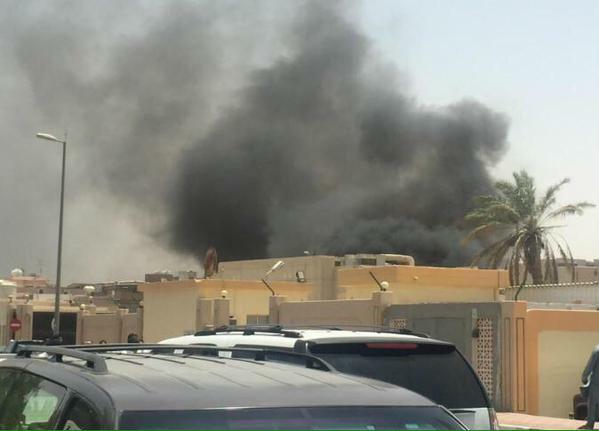 DUBAI, UAE (AP) — A bomb ripped through a mosque in Saudi Arabia used by Interior Ministry special forces in the southwestern city of Abha on Thursday, killing 17 people, according to the official Saudi Al-Ekhbariya news channel. A Saudi Interior Ministry official told the Associated Press that the bomb targeted police trainees as they were in the middle of prayer. The official, who spoke to the Associated Press on condition of anonymity because he was not authorized to speak to reporters, could not immediately confirm if the mosque was inside an Interior Ministry compound or if the blast was caused by a suicide bomber. State media reported that the mosque belongs to an Interior Ministry emergency services' post in Abha. Ekhbariya said at least 10 of the dead were members of the security forces. There was no immediate claim of responsibility. But blame is likely to fall on the Islamic State group, whose local affiliate has claimed responsibility for a number of attacks in recent months. A suicide bomber that struck a Shiite mosque in the eastern village of al-Qudeeh in May killed 22 people. That was the deadliest militant assault in the kingdom in more than a decade, and was followed a week later by another suicide bombing attack outside another eastern Shiite mosque that left four dead. In November, a gunman opened fire at a mosque in the eastern Saudi village of al-Ahsa, killing eight. Several members of the security forces have also been targeted in shooting attacks. Saudi authorities last month announced the arrest of more than 400 suspects in an anti-terrorism sweep. They said at the time that they had thwarted other IS attacks being plotted in the oil-rich kingdom, including a suicide bomb plot targeting a large mosque in eastern Saudi Arabia that can hold 3,000 worshippers, and attempts to attack other mosques, diplomatic missions and security bodies. Saudi Arabia is also leading a coalition targeting Iran-allied Shiite rebels in neighboring Yemen, not far from Abha. The rebels have carried out a number of cross-border attacks against military targets.